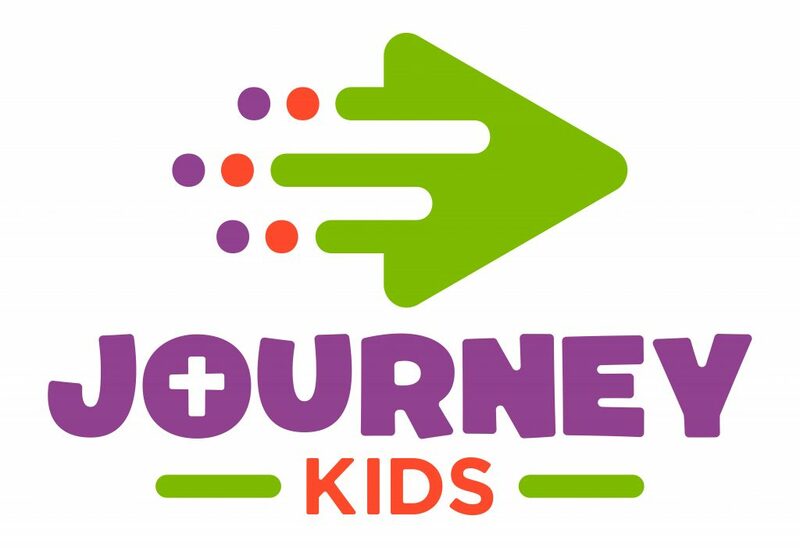 By the time our children leave Journey Kids Ministry, we want them to have started their relationship with Christ, know they can trust Him no matter what and begin walking with Him daily. We strive to provide our children with a solid foundation of Scripture. We want them to have strong relationships with their friends and family. We want them to know the importance and blessing of serving others. We believe it is important for children to worship with their families. Family Worship is an opportunity for children and parents to worship together to grow and learn as a family. On the first Sunday of every month, all elementary aged children will attend the Worship Gathering with their families. On your first visit, we will ask for some basic information including if your child has any food allergies. If they do, it will print on their sticker ensuring their teachers know of the allergy. We suggest that you arrive at least 15 minutes prior to service in order to get your child checked in before worship begins. When you pick up your child, please present the security sticker that has the matching code to your child’s teacher. If you lose your security sticker, stop by the check in desk with your ID and we will gladly print you a new sticker! 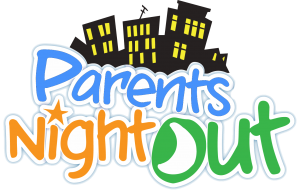 A parent or guardian 18 years or older needs to pick up your child! Children can not be released to older siblings. We will not release a child to someone without a sticker or to a minor for security purposes. We strive to do everything we can to protect God's children. Everyone who volunteers with our children has gone through an interview and training process. Everyone over 18 is background checked. Please contact Pastor Ryan if you have any questions. We want our nursery-aged children to know that they are loved and that church is a safe place for them. We want them to hear words, music and Scripture that emphasizes God’s love for them. We want them to grow socially through active play with friends their developmental level. Loving childcare is provided for our infants where they will hear scripture and be prayed for during all services. During all of our services, our walker and toddler classes hear a Bible story, have hands-on activities and guided play. Once a year we promote children into our Early Childhood Ministry. If your child is 3 years old on or before September 1 and fully potty trained, they will promote in August. All children who turn 3 years old after September 1 will stay in our Nursery Ministry until the next year. This is a good opportunity for children to track with those they will be in school with. During their time in preschool, we want our children to continue to grow socially. We want them to know that God loves them and wants to have a relationship with them. We want them to learn how to interact with other children in a classroom setting. Preschoolers will begin to explore Scripture through basic tellings of Bible stories, memory verses and hands-on activities. Preschoolers enjoy Bible story teaching, hands-on activities, crafts and guided play. During Kinderchurch, preschoolers take a first look at who God is and understand that He made them, He loves them and He wants to be their friend forever. They “make it stick” through Bible stories, memory verses, hands-on activities and music. Preschoolers further develop the Bible story teaching from Sunday with hands-on activities, crafts and guided play. Once a year we promote children into our Elementary Ministry. If your child will be starting Kindergarten, they will promote in August of that school year. Our Elementary kids continue to become more like Christ and deepen their friendships with each other through the following activities. During Sunday School, our elementary children dig deep into a book of the Bible through Nazarene Bible quizzing and memory verses. The Zone is a place where children play and enjoy a snack together to strengthen their friendships. During Children's Church, our children will learn three basic truths: I need to make the wise choice, I can trust God no matter what, I should treat others the way I want to be treated. Children learn this through Worship, Scripture, monthly Life Apps and small group activities. Each child will leave with daily devotions that reinforce the lesson. Our children further develop the Scripture and concepts from Sunday through life application experiences and various electives such as Guitar, Baking, Science, Soccer, etc. Electives change with each session. This club is centered on engaging kids with Scripture and life application for the things that preteens will face in the upcoming years. They love to hang out and play games too! Click on the Kids Club logo on the right to register for these clubs! Cost is $245 by Wednesday, May 15. For kids who are currently in 1st-5th grade. Information packets are available at the check in desk. We are looking for children and parents who are interested in reading Scripture, praying, greeting or helping on the lighting team on Family Worship Sundays. Please Sign Up Here!. 6:30-8:45pm for kids 4 years old (by Sept. 1st) - 5th Grade. Kids will experience the solid foundation of God's goodness - something they can stand on, cling to, hold and remember when the wild side of life doesn't feel so fun or adventurous. Please Register online. Quizzing is a fun way for children to learn God's word. This year we are learning all about the happenings in Acts. Join us for Sunday School at 9am to hear the lesson and quiz practice at 10am. If you are interested contact Alfa Renegar. Please contact Pastor Ryan with any questions. Our nursery-aged children should bring a diaper bag with diapers, wipes, bottle/sippy cup and an extra change of clothes. Please make sure every item is labeled. Our preschool and elementary-aged children are encouraged to bring their Bibles. Please leave toys and other personal items at home or with mom and dad. My child has been sick, should I bring them? As much as we love your little ones, if they have any of the following symptoms within 24 hours of a service or activity please help us keep everyone healthy by not placing your child in their classroom: any contagious illness, vomiting, diarrhea, cold, excessive coughing, runny nose (yellow/green mucus), and/or a fever. Thank you! If we need to contact you for any reason during the service, we will do so via text message. Upon checking in, please make sure we have your cell phone number and service provider. We offer snacks for all ages at a designated time during the service. Please make the volunteers at the Check In Desk aware of any allergies your child might have. Our preschoolers will play on our indoor playground. Our elementary children may go outside on occasion if it supports the lesson.